It’s our goal to make homebuyers and homeowners feel at ease throughout the financing (or refinancing) process, from prequalification through closing. Our experienced regional mortgage lenders, processors, and underwriters have helped over 15,000 homeowners with financing since 2010, totaling over $4.7 billion in home loans. Our talented team is happy to answer your questions, and explain each step of the process to you. While every loan is different, we’ve summarized the major milestones of a typical mortgage below. Our lenders can provide more detail once they understand your particular goals and situation. The Federal Home Loan Mortgage Corporation (a/k/a Freddie Mac) publishes a great, easy-to-read guide to the mortgage process if you’re interested in additional information. We suggest you discuss your plans and finances with a Bank of Canton Regional Mortgage Lender. They can provide perspective and advice, and help guide you through the home buying or refinancing process. Getting prequalified serves two purposes: it helps you understand how much you might be able to borrow, and it strengthens your position when you’re ready to negotiate an offer. A Bank of Canton prequalification is quick, easy and free. By providing us with basic information about your employment status, income, assets and credit, we can quickly calculate your borrowing capacity based on those factors. You’ll then be able to save time by focusing on only those properties that meet your needs and are within your budget. We’ll also prepare a written prequalification letter for you to provide real estate agents and sellers, which demonstrates your commitment to buying a home and improves your bargaining position. When you’ve found a home and presented an offer that’s accepted by the seller, it’s time to formally apply for a mortgage loan. Your Regional Mortgage Lender can help you complete the application. Once we receive your completed application, we’ll pull your credit report (if we haven’t already done so during prequalification) and begin preparing your initial disclosure package that will include your Loan Estimate. Soon after we receive your application, you’ll receive a Loan Estimate along with other disclosures for your review. The Loan Estimate summarizes the terms of the loan and estimated settlement charges required to process your loan. Financial statements (3 months’ worth) – including deposit accounts, investments, and other assets. Copies of monthly bills and expenses. If you have other loans, you’ll need to know your monthly payment and the amount remaining on the loan. Additional documentation/verification may be required, depending on your situation. At this point, we’ll perform additional due diligence by ordering an appraisal of the property and ordering research to be performed on the property’s title (to make sure there are no outstanding liens or claims on the property, or other ownership irregularities). The next step is to review, sign and return the bank’s commitment letter, in which you and the bank agree to the terms of your loan. Once your loan has been “cleared to close,” you’ll receive the Closing Disclosures. Like the Loan Estimate, the Closing Disclosures also summarize the terms of the loan, and include updated dollar amounts for your prepaid items and settlement charges. The closing is the final meeting during which you and the bank sign the mortgage loan agreement. The dollar amounts for all the charges associated with preparing and closing your loan are carried over from the Closing Disclosures. Congratulations! 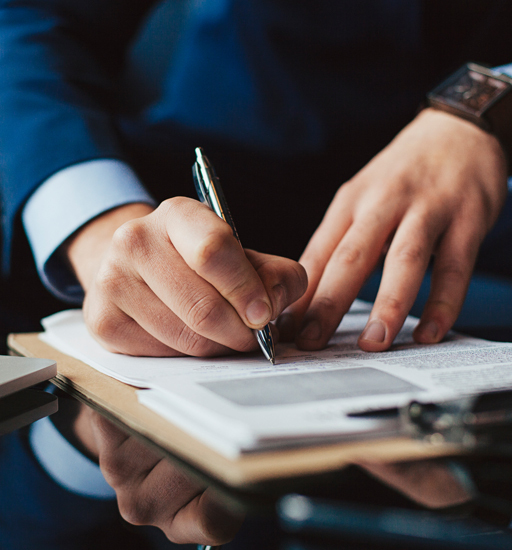 That’s it – once you have signed all the necessary documents during the closing, you’ve officially completed the home buying or refinancing process!